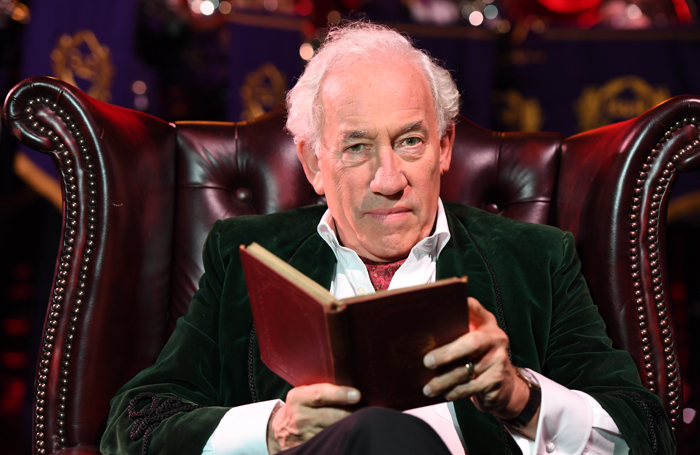 175 years after the publication of Charles Dickens' A Christmas Carol, actor Simon Callow and the acclaimed Brighouse and Rastrick Band celebrate the classic novella with a special recording. Callow's self-written adaptation of A Christmas Carol was first seen on stage in 2016, at the Arts Theatre, and is captured superbly in audio format, with a full bodied soundtrack underscoring the narration and injecting plenty of festive warmth into it, and 19 christmas carols on a second disk providing the listener with an abundance of winter merriment. The story of miserly Ebenezer Scrooge's ghostly visitations, which prompt him to reconsider his selfish attitude and become a better person, is a beloved christmas tale, and a staple during the festive season. This new recording fully captures both the light and darker more eerie elements of the story, with Callow's animated narration bringing each of Dickens' iconic characters to life, and the Brighouse and Rastrick Band's rich musical accompaniment imbuing the story with extra festivity and capturing the zeitgeist of the Victorian era. The recording is extremely atmospheric from start to finish, with some of the most memorable of the story's events being emphasised by the accompanying carols. Notably, Scrooge's glimpse into his grim future with the Ghost of Christmas Yet To Come, is accompanied by the Brighouse and Rastrick Band's brass section leading a jolly rendition of Good King Wenceslas. It's a somewhat sinister and very effective juxtaposition, which really makes the particular moment stand out. In a similar vein, Scrooge's eventual change of heart is marked with a particularly exuberant rendition of Joy To The World, with Callow's narration merrily cutting through the sparkling melody. Looking at Simon Callow's career, it's clear that he has a passion for all things Dickens, having played the writer multiple times on stage and screen, and written extensively about him. It's a passion which is extremely tangible in this recording of A Christmas Carol, which is narrated enthusiastically and engages the listener throughout. Callow has an excellent gift for engaging storytelling, which compliments the ghostly tale perfectly. Dickens' traditional festive tale can now been seen in many iterations on stage and screen, a testament to its timelessness, but whilst watching puppets or uncanny CGI comedians perform the definitive christmas ghost story, there's nothing quite like enjoying the story in its simplicity, accompanied by some wonderfully ambient christmas carols. For that reason, this recording of A Christmas Carol should be at the top of everyone's wish list this christmas.